ItemPDP05508 - Archbishop Charles John Seghers, 1873-1879, 1885-1886. ItemPDP05509 - Mount Brenton From Kuper Island, BC. ItemPDP00034 - Achaineach, home of Captain W.C. Grant at Sooke. ItemPDP00036 - Salmon Net Fishing Above The Cascades, Columbia River. 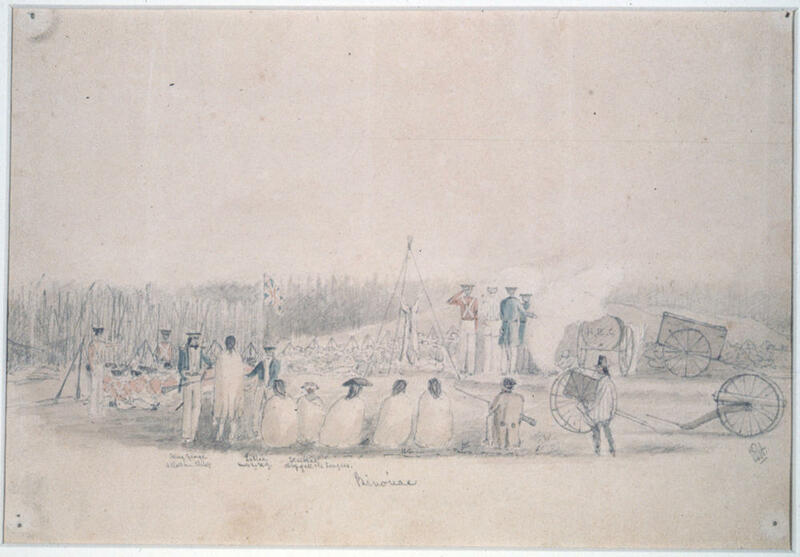 ItemPDP00046 - Making A Portage Through The Bush, May 1845. ItemPDP00047 - Sailboats going through rapids; Lieutenants H.J. Warre and Mervin Vavasour military reconnaissance expedition to Oregon Territory and BC. ItemPDP00048 - Riviere De Loupe.